L.L.L4L.L.L. : SLANSW needs a strong, positive forward thinking vice president. SLANSW needs a strong, positive forward thinking vice president. 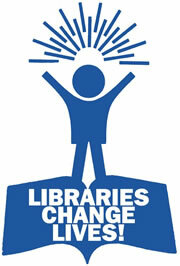 School Library Association of New South Wales (SLANSW) AGM nomination deadline Friday. Membership is open to all teacher librarians, librarians, library technicians, library workers, library supporters, library and information organisations and corporations that serve the library community in NSW. You are invited to join as a personal or institutional member. Never has there been a greater need for a strong state teacher librarian association. Reactionary forces have been able to dominate the association. We need action from members new and old in putting their names forward for the SLANSW committee. All over our state we have competent, creative, dynamic and visionary teacher librarians. Now is the time to put your names forward for a reinvigorated, dynamic and strong, future oriented association committee. We badly need a secretary. Our wonderful president has been trying to do both jobs! We badly need a strong, positive forward thinking vice president. Get the signature of two nominators, sign it yourself and get your form in to the Professional Teachers Council fax 02-95642342, by 5 pm next Friday 24 August. A brief paragraph about yourself and your vision for the association and TLs would be desirable. 2013 is a deciding year for the continuation of TLs in NSW government schools, especially. Please feel free to contact me for further information.